NBA Draft Mailbag: Zion Williamson Chose Duke. What Does It Mean? In the latest NBA Draft Mailbag, we assess Duke’s 2019 prospects, Purdue's roster and an assortment of tweener big men. The month is coming to a close, the NBA trade deadline is approaching, the standings have begun to crystallize, lottery teams can predict their fates and college teams have another month or so to figure things out going into tournament season. In other words, it’s starting to get real. The Big Ten tourney starts in like a month. After the trial run was a success, we’re gonna keep running these mailbags. So, continue to direct all future questions to SIFrontOffice@gmail.com. We thank you. 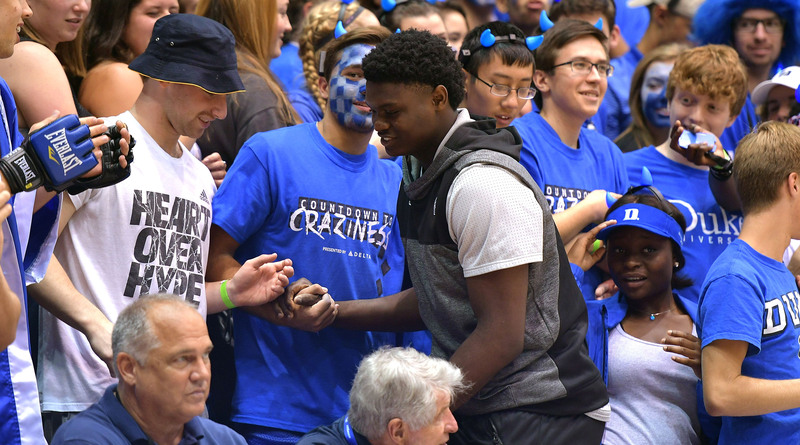 What does Zion Williamson choosing Duke mean for the landscape of the 2019 Draft? — Carson W.
We touched on this a little bit on Monday, but Williamson’s surprising choice to attend Duke means the Blue Devils might have three top-five picks on one team next season. Williamson, R.J. Barrett and Cam Reddish are regarded as the three best players in the 2018 high school class in some order, and now they’re going to play together. Duke producing the first three picks in the draft would be unprecedented. But when it comes to the draft, things are rarely that simple, particularly when you’re trying to guess at a picture more than a year away from it being close to fully painted. So as far as the landscape of next year’s draft goes, I hate to tell you that it’s too soon to make any huge calls. There’s still a possibility Duke’s team doesn’t work out perfectly. Williamson, Barrett and Reddish are all stylistically different but all three love to play as ball-handlers. That will be the initial hurdle for this team, which also includes Tre Jones, the five-star rated brother of former Duke star Tyus Jones. Who gets the ball where and who has it when? Who should be taking which shots? And how will the pecking order and team schemes impact each player’s standing as a prospect? Can these guys learn to fill roles and star in them? Probably, but these are the relevant questions that Duke has to answer in the fall. We will certainly see a lot of them. Moving on from the superteam discussion, in the bigger picture a lot will be hinging on which players across the NCAA choose to come back to school. You never know how performance will modify the talent hierarchy, but there could actually be a nice opportunity for players who stay in school to work their way into the first round. The 2018 class is generally regarded by recruiting experts as being awfully thin. But then again, the 2018 draft is also pretty up in the air beyond the first dozen players. As always, the first rule of the NBA draft is that nobody really knows anything about the draft. Last year, the AAC produced Semi Ojeleye (Celtics), recently signed Ben Moore (Pacers), Damyean Dotson (Knicks) and Sterling Brown (Bucks). Does the conference have four potential NBA players again? I see a lot in Landry Shamet, Shake Milton and Jacob Evans, who is in the next tier? — Matthew B.
Milton, Shamet and Evans are three good names to start with, and all have great chances to be drafted. The easy answer to this question would have been Milton’s SMU teammate Jarrey Foster, who’s unfortunately out for the rest of the season with a knee injury. Foster’s stock was trending up and he might actually be a better long-term prospect than any of the other guys, with the kind of athleticism, versatility and skill that comes at a premium in the NBA. But given the injury, Foster may have to come back for his senior year and come back stronger for next year’s draft. Looking elsewhere, there are a handful of interesting prospects in the conference. Houston’s Rob Gray Jr. may not get drafted, but can really score and should get a chance in Summer League. Tulane’s Melvin Frazier is a high-level athlete who’s improving as a shooter and defender, and his teammate Cameron Reynolds also brings size and sniping ability on the wing. I like Temple’s Quinton Rose as a name for 2019. Cincinnati’s Jarron Cumberland can shoot from deep and brings some toughness. Markis McDuffie hasn’t found his groove for Wichita State, but has some role-player intrigue. Those are the names I’d file away for the next two drafts. Curious about your thoughts on the NBA potential of Purdue’s roster, particularly Isaac Haas and Vincent Edwards. Do any of these guys jump out at you as having shots at getting drafted? — Brandon K.
Purdue emerged as one of college basketball’s outstanding teams by relying on its depth and experience and has rolled to a 20–2 record despite lacking any individual surefire NBA prospect. Edwards and Haas, both seniors, came up big in the Boilers’ win over Michigan on Thursday night and are on the radar for June. Vince Edwards is probably Purdue’s top prospect for this draft, and he’s always been talented and held some theoretical versatility. He’s athletic, can defend multiple positions and most importantly has shot 46% from deep this year, which should help affirm his ability to space the floor. Edwards has certainly played well enough to get himself drafted, and in a class lacking for quality wing players has a pretty good résumé as a second-rounder. He’s still a bit of a tweener and will need to re-prove himself during the pre-draft process, but has certainly done enough to warrant a combine invite. As for Haas, he’s basically a Plumlee, which means he’ll get NBA looks for being huge and athletic. However, his skill level and feel leave something to be desired for NBA purposes, so he’ll need to hang his hat on defense, rebounding and cleaning up easy baskets. He gets away with some things at the college level just by being huge. His size and strength still profile well, but a team would have to be in love with him to use a second-rounder. Carsen Edwards and Matt Haarms should probably stay in school, but both have been terrific. Edwards’ size will work against him, but he’s tough and can really score it—there’s just a big crop of second-round point guards that will probably make his life difficult if he goes. Haarms needs to come back and handle more minutes, but 7’3” guys with a little bit of athleticism don’t grow on trees. Any thoughts on Yante Maten (Georgia)’s draft chances? If he can stretch his baseline jumpers to the corner and defense translates, I think he could be a rotation big. — Jeremy O.
Maten has had a strong couple of seasons and some nice moments this season, but I think he’ll have a difficult time making it work at the next level. He’s certainly a unique prospect with some inside-out ability and great instincts on the glass, but he’s definitely a positional tweener thanks to his size and he’s a senior who will be challenged to sneak into the draft. He’s been prolific in college, but mismatch fours are tougher to peg as NBA players, and it’s not clear how much of his interior scoring will translate against NBA length. His post-up efficiency has been mixed this season. He’ll have to prove he can guard on the perimeter to stick as an energy big, and I’m not sure he can do it well enough. The three-point shooting will also have to be for real. 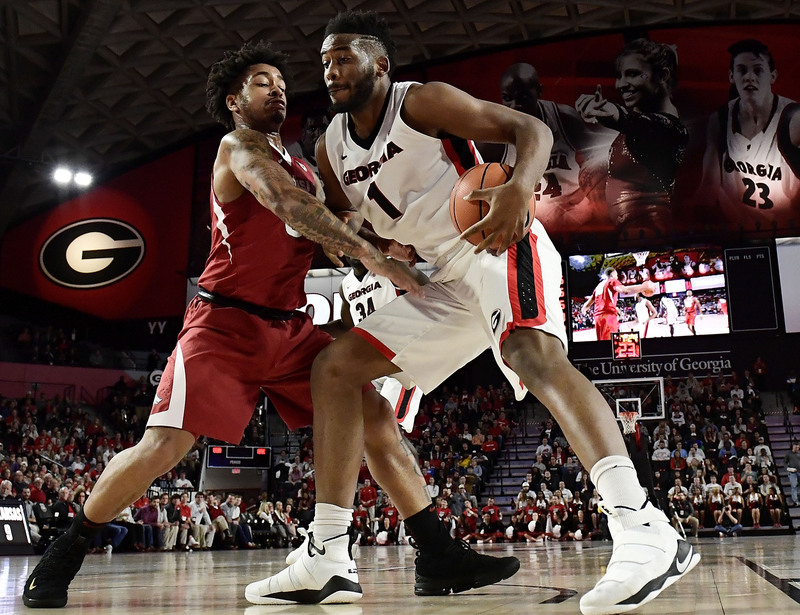 But Maten plays hard and has been a prolific player for Georgia, should get a Portsmouth invite and will certainly deserve a spot in Summer League. But after testing the waters last year, he’ll have to assuage some concerns in the predraft process in order to be selected. It’s especially hard for guys in his mold to make the NBA. Help settle a family debate: Will Ethan Happ (Wisconsin) go early? Will he get picked at all (this year or next? ), is he athletic enough to be an NBA player? — Daniel R.
Will Happ go early? If you mean first round, probably not. Should he come out this season? Well, he doesn’t have much left to prove. Will he get drafted? It’s possible. But scouts have picked him apart over the years and are intimately familiar with his weaknesses. There was talk over the summer that Happ had improved his jump shot, but he’s only taken four three-pointers this season and his efficiency numbers in spot-up scenarios are awful. Happ’s ability to pass, rebound and finish have always been interesting, but it’s really tough to succeed in the NBA as a non-shooting big if you aren’t an elite athlete and/or shot-blocker. I’m a skeptic here. What reasons are there why Angel Delgado (Seton Hall) isn’t getting any NBA draft buzz? — Jordan S.
Speaking of non-shooting bigs who aren’t elite athletes, Delgado is subject to some of the same critiques. He’s proven himself as one of college basketball’s top rebounders and has some ability as a passer, but nothing else about him screams NBA. He’s already 23, and it feels like this is simply what he is. Delgado also lacks the elite length needed to play center in the NBA, and has been a poor free-throw shooter his entire college career. If his rebounding ability looks this good outside of the Seton Hall environment it might reignite the discussion, but there’s just not enough going for him otherwise at this point. Is it possible for the Lakers to trade Jordan Clarkson for a late first-rounder? I was wondering if they could get Duke’s Trevon Duval as a backup to Lonzo Ball. He’s great in transition and that’s what the Lakers are great at. What do you think of the fit? — Kenneth L.
I’m sure the Lakers would love to move all the money left on Clarkson’s deal as they angle for marquee free agents, but it might be a challenge to make it work. If there were a team in love with him, it probably would have happened by now, and even then, I don’t know that you can get a first-rounder back. He’s playing well, but the Lakers might have to attach something with him to make it worthwhile. In the event L.A. was able to add another pick, Duval might have some level of appeal. But the Lakers want to build around big-money stars as soon as possible, and when you base your salary structure around two or three big contracts, the key is not only finding the right role players, but figuring out how to maximize value at smaller price points. As such, guaranteeing money to a backup point guard like Duval who struggles to shoot the ball might be ill-advised when an experienced backup guard on a near-minimum might make more sense. And if L.A. doesn’t go get a superstar, it might be better off rounding out their frontcourt rather than doubling down on offense (which they seem to have plenty of). And who are we kidding … the Lakers probably need to leave roster spots open for Melo and Gelo. This is called speaking it into existence.